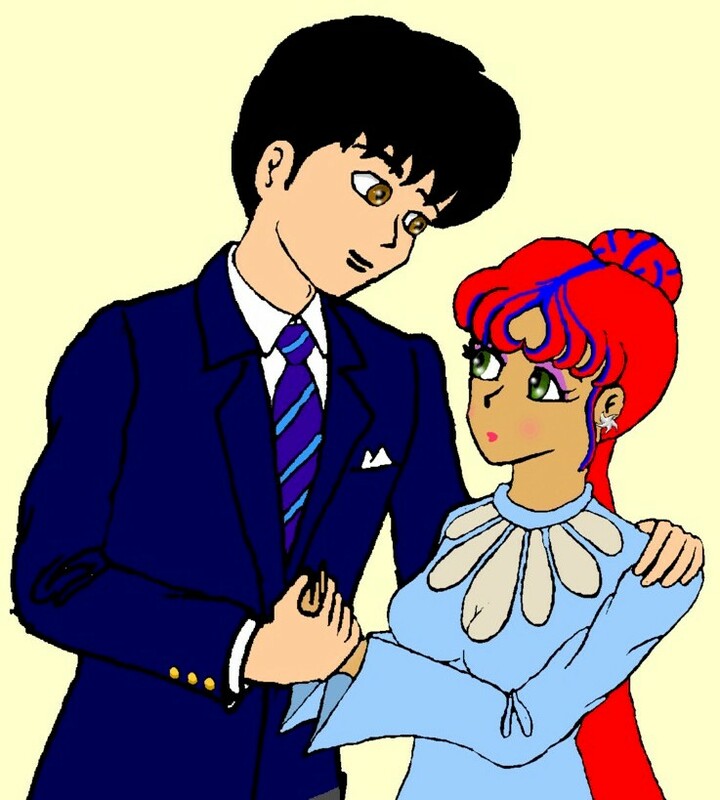 Temple of Ranma's Sailor Senshi Seifuku • View topic - [R.5/SM] Windborne: The Happy Couple. [R.5/SM] Windborne: The Happy Couple. With Chapter 4 up I've decided to do some polishing and post some new fanart. This was done working with J. St.C. Patrick: he provided a base drawing for Tatewaki and Ranma's dress and gave a sketch of Ranma's hair. Where I did the coloring, composition, detailing and background. And for reference here's a picture of Ranma and Kuno back before he turned fairy. Re: [R.5/SM] Windborne: The Happy Couple. It's a beautiful image but my two questions are wasn't fae titana/ranma-chan taller and weren't Tatewake's wings described as a plaid coloring? [Thanks glad you like it. [I wanted to make sure it was "overdone" enough. [And no, fae titana/ranma-chan is actually shorter. (Especially after the fun with Kuno in ch3/4). [Now I suppose I may have goofed in earlier chapters as describing her as taller. I'll have to check and fix that if so. [And yes his wings were described as plain-looking. And, relative to hers, they are plain browns, yellows, and greens. Looks good, Ranma's kinda focused on her target huh.